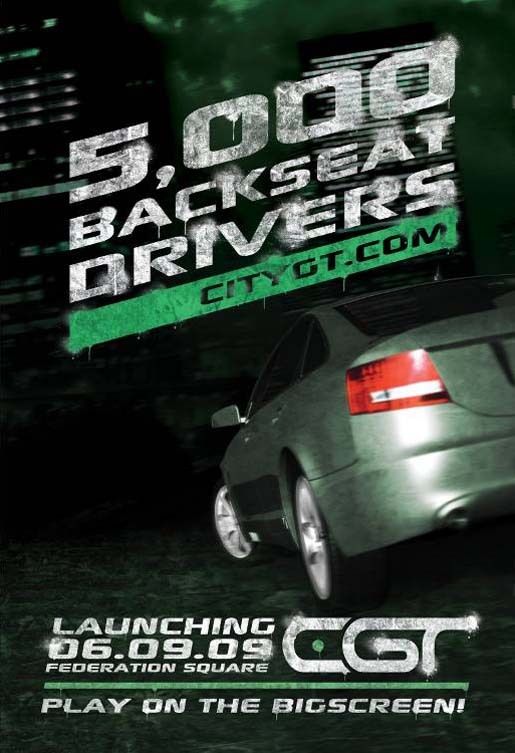 VicRoads‘s CityGT campaign in Victoria, Australia, won a Gold for Content and Contact at the 2010 Clio Awards. Players can visit the iPhone app. 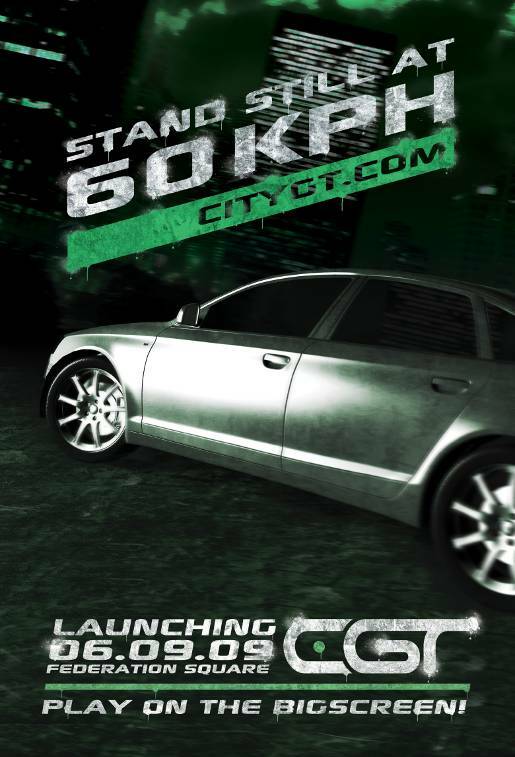 store and download the CityGT game for free. While they are playing the driving game, the technology automatically makes a phone call to the player’s phone. If the player takes the call, the car on the driving game crashes and they receive a message that explains the hazards of driving while using their mobile phone. 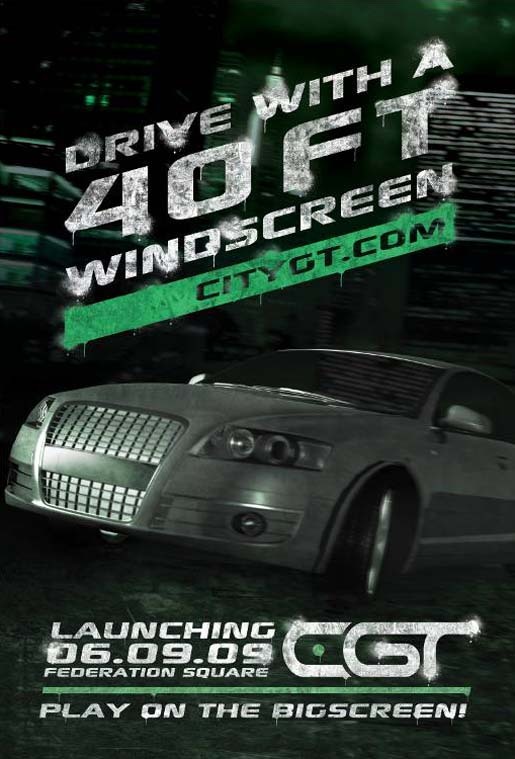 If the player ignores the incoming calls while they are playing the game and they successfully finish the course, they receive a message that congratulates them on being a safer driver. If the player performs well they can enter their score into the leader board and challenge their friends. The campaign was launched in Melbourne with an outdoor event which gave people the chance to hook up their iPhones to the big screen in Federation Square via Wi-Fi and witness their driving skills in giant Technicolour. A fleet of specially equipped trailers toured Melbourne and regional centres (including Geelong, Ballarat and Bendigo) allowing people to play CityGT using WiFi on large screens. The game was downloaded over 30,000 times in Australia in its first month and rapidly climbed the list of ‘Featured Apps’ in the Apple iTunes store, and the website gained hits from almost 40 countries worldwide. The CityGT campaign was developed at JWT Melbourne by executive creative director Richard Muntz, deputy creative director Keith Nicolas, creative team Harsh Kapadia, Chris Andrews, deputy creative director Keith Nicolas, director of digital Daniel King, account director Prue Tehan and Matthew Lonergan. The iPhone app was developed at Millipede.